Erin Saemrow ('21) chases down the University of Wisconsin-Stevens Point's Amber Baehman ('22) on Nov. 17. The Luther Women’s and Men’s Basketball teams both began their 2018-19 seasons with one win and two losses. 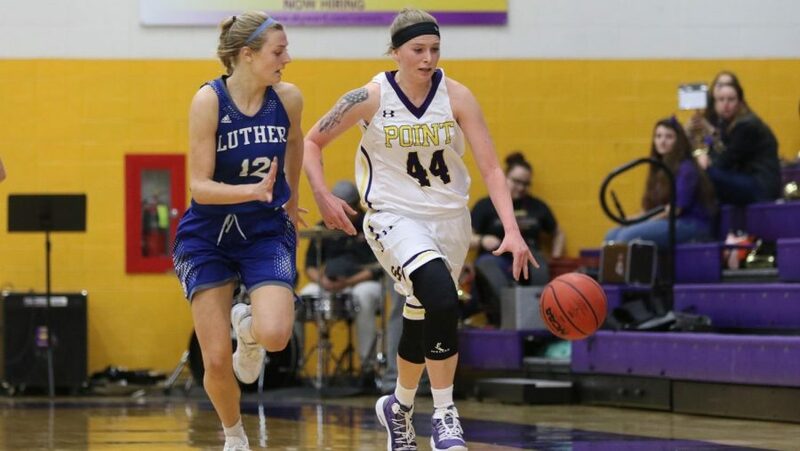 The Women’s Basketball team dropped the first two games of the season at the University of Wisconsin-Stevens Point Tip-Off Tournament, losing to the University of Wisconsin-Whitewater 51-70 on Nov. 16 and Stevens Point 69-72 on Nov. 17. However, the women’s team came back with a 71-64 home victory against Gustavus Adolphus College on Saturday, Nov. 24. Sarah Holtz (‘20) recorded a double-double against Whitewater with 13 points and 10 rebounds, while Laura Hamilton (‘20) and Madilyn Heinke (‘19) both scored eight points. Heinke and Holtz continued into the second game against Stevens Point leading Luther in scoring, with Heinke adding 20 points and Holtz adding 17 points. Gage Thompson (’21) dribbles the ball against Bethany Lutheran on Nov. 17. Thompson led all scorers in this game with 22 points. After the Tip-Off Tournament, Head Women’s Basketball Coach Amanda Bailey highlighted Heinke’s performances, who was named to the All-Tournament team. In the third game against Gustavus, Hamilton was the highest-scoring Luther player with 17 points, while Holtz and Brittney Sjulstad (‘19) both had 10 points. 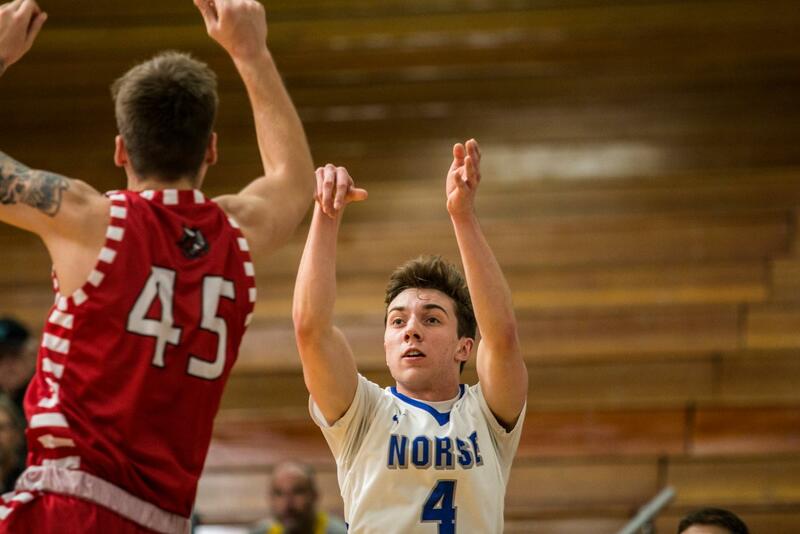 Luther also held Gustavus to 32.8 percent from the field and forced 20 turnovers. Going into the 2018-19 season, the women’s team was ranked number one in the American Rivers Conference Women’s Basketball Preseason Coaches’ Poll. According to Holtz, the team is excited to start the season and show that they are the best team in the ARC. Anthony Westhusing (’21) shoots the ball in Luther’s win against Bethany Lutheran College. The Women’s Basketball team has a balance between first-years and experienced players. There are 10 first-years on the team and 10 returning letter winners. According to Co-Captain Anna Edel (‘19), the team can rely on its experience as well as its “unselfish” style of play. Men’s Basketball started their season with a 64-76 loss at the University of Wisconsin-La Crosse on Nov. 13, but came back with an 82-80 win at home over Bethany Lutheran College on Nov. 17. The men’s team also lost 72-74 at St. Mary’s University on Saturday, Nov. 24. Before the Men’s Basketball team’s first game, Co-Captain Josh Peters (‘19) was excited to play against another team, instead of his own teammates. In the loss at La Crosse, Rahul Bagga (‘21) led Luther scorers with 12 points, while Anthony Westhusing (‘21) added 10 points. In the victory against Bethany Lutheran, Gage Thompson (‘21) had a game- and career-high 22 points and led all Luther players with eight rebounds, while Jared Nicolaisen (‘19) scored 15 points in his first game back from an injury. 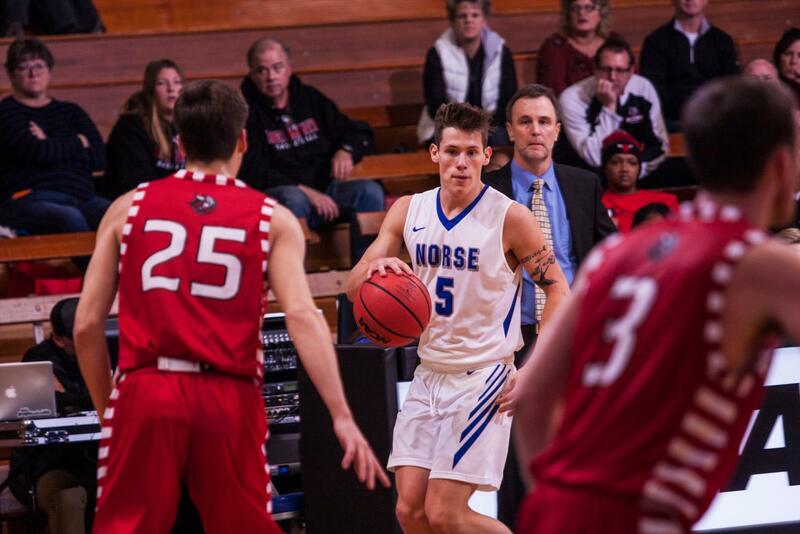 Nicolaisen and Thompson also led all Luther players in scoring at St. Mary’s, with Nicolaisen scoring 20 points and Thompson adding 14 points. Westhusing was pleased with the team’s performance against Bethany Lutheran, both as individuals and as a group. Luther was also outrebounded in all three games. Going into the game against St. Mary’s, Head Men’s Basketball Coach Mark Franzen wanted the team to improve on rebounding. Both the Women’s and Men’s teams will play at home on Saturday, Dec. 1 against Simpson College.